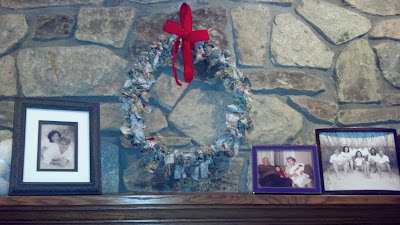 Last week I mentioned a bit of information I had and wanted to share about wreaths. You may have seen this idea floating around Pinterest, but never tried it. I did and it worked beautifully. I now have a total of 2 Pinterest successes and 1 Pinterest FAIL (it was a bad green smoothie). Now I want to share with you the secret that is… PIPE INSULATION! In the vein of Nester’s hardware store decorating challenge, I give you the humble black foam tube. This bendy material can be cut to length, duct taped at the joint, and decorated to your heart’s content –all for less than $2!! Use this simple formula from elementary school geometry to figure out what size you want to make. A 3’ length will give you a wreath roughly 12” across. 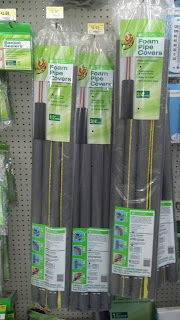 Pipe insulation is easily found in 6’ lengths which would give you 2 of these forms. For smaller diameters, you want to make sure you are using smaller insulation to prevent creasing. 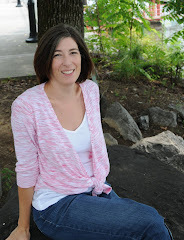 Here is a great little post about avoiding some of those kinks. This stuff is also amazingly light weight and will not leave those little white or green crunchy Styrofoam bits all over the place. That drives me crazy! Make your wreath, then wrap, glue (careful it’s not too hot), tie, pin… whatever. Here is mine wrapped with knotted strips of holiday fabric. Have fun and see what you come up with. Need ideas? Here’s a wreath linkup that was also hosted by The Nester. So, what do you think about this idea? Are you participating in Handmade Holidays? Grab a button from my sidebar. Hey Amy! I wanted to stop by and thank you for linking up with the Christian Adoption Link Up!! Didn't know you were an adoptive mom, too! :) Praying you find lots of encouragement there!! I think I requested to be in the (in)couraged Flock group on FB and I'm not sure if it went through or not. Can't wait to connect with you all there!! Let me know if you try it. Great for kids to decorate, too.